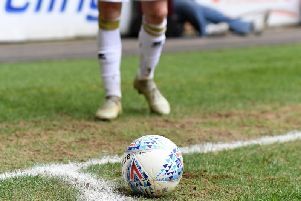 Neither Pete Winkelman nor new boss Paul Tisdale were willing to put their necks on the line to boldly predict an instant return to League 1 next season. After Dons suffered two relegations in three seasons, Tisdale has been drafted in to steady the ship and make them a winning team again. With results though comes an upturn in fortunes, but the chairman says he is willing to remain realistic about Dons’ chances next season. He said: “We know what we have to do at this club, we know where we are isn’t acceptable but I cannot promise instant gratification. “There’s a lot we can do with the players we’ve got, but I do think there will be change. Paul has already identified what we want to do and need to do. “While we all want to be playing the most beautiful football and playing in higher divisions, but we’re very much in the here and now. “We haven’t lost sight of our ambitions, can’t afford to worry about that now though. “We need to draw away from home on a Tuesday night; we need to keep clean sheets at home; we need to turn free kicks into goals. We have to be competitive. “I don’t want us to get carried away with a couple of wins. We’ll need a couple of transfer windows. It won’t all happen in one. It’s clearly a stance Tisdale buys in to. Despite having one of the biggest budgets in League 2 in his pocket (see page 72), Tisdale won’t be going wild, but knows a club of MK Dons’ stature needs to be fighting at the right end of the table, and ideally for promotion. “Ultimately the club, the stadium, the ambition requires promotion,” he said.